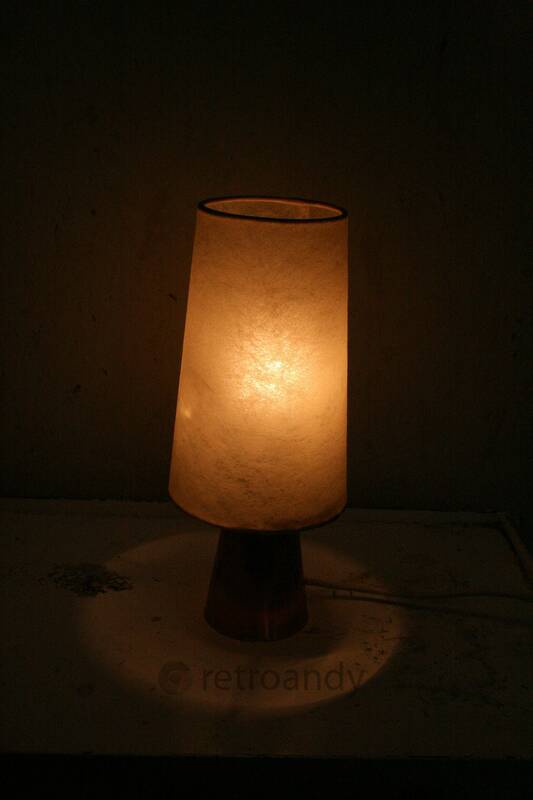 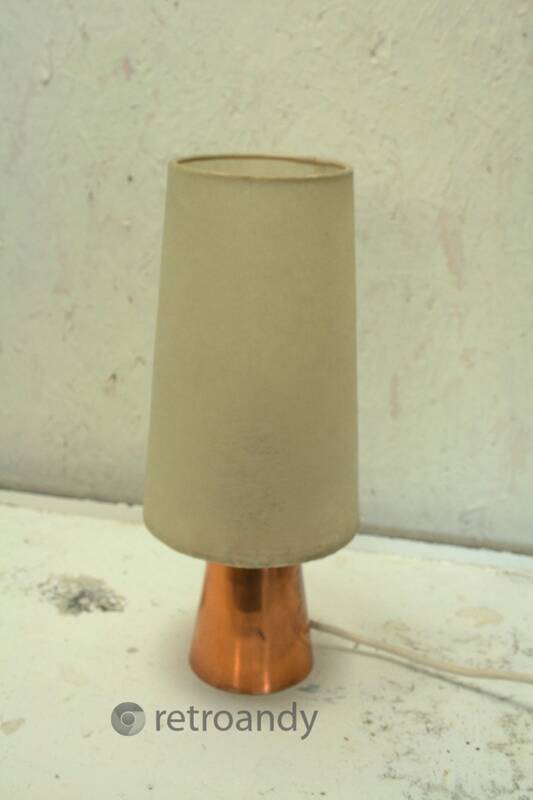 Stands at ca 29 cm tall has an E 27 fitting and a euro plug that could be changed ask an electrician . The Cap looks like a soft fibreglass if you get my drift . 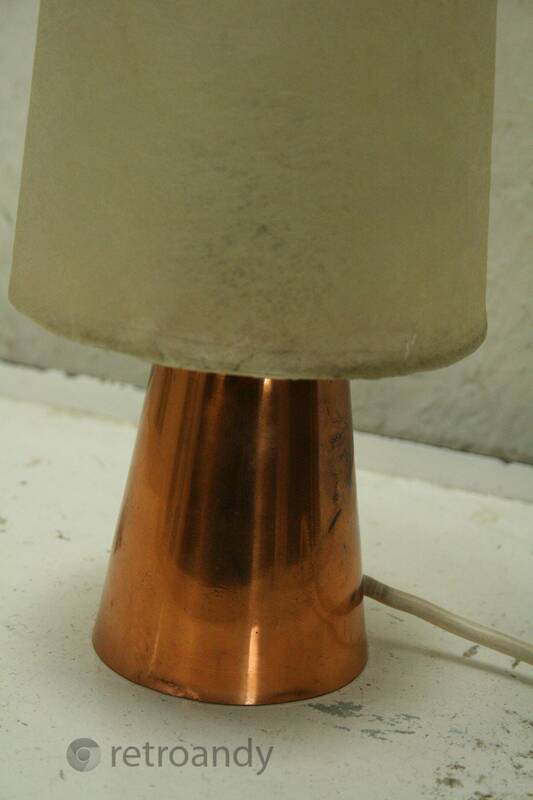 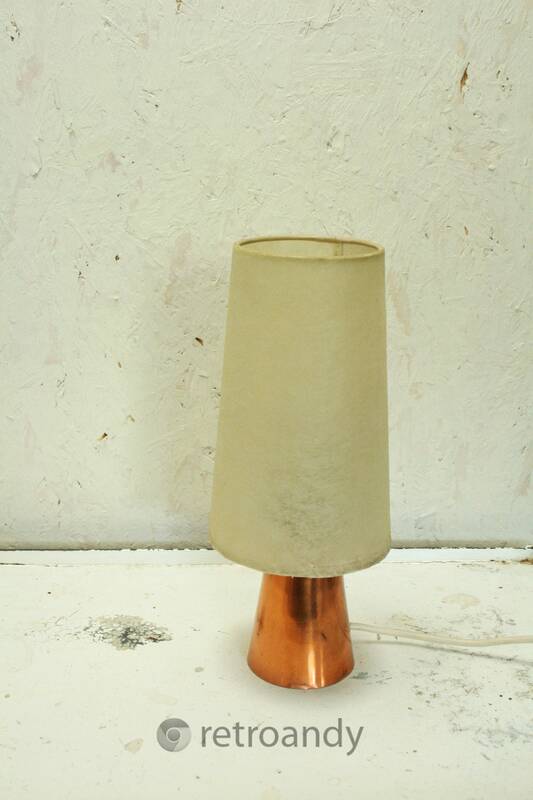 Base is copper the lamp weighs ca 850 g !